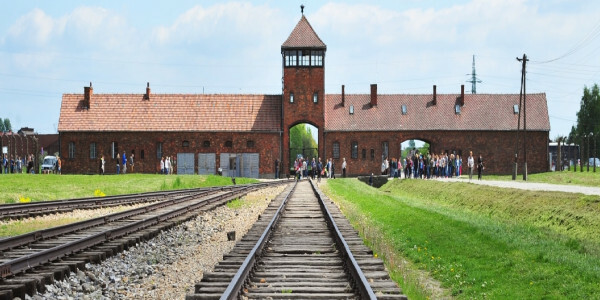 Save your money and time with the Auschwitz Package designed for those who want to see one of the most visited places in Poland with a comfortable two-way transportation, airport transfers, and a recommended minimum 2-night stay in a verified top-rated hotel at one low price. You will be safely transported from and to the airport in a comfortable and modern car. Our seasoned expert guides will show you around Auschwitz Death Camp visited by over 2 mln people yearly. You won’t have to worry about the transportation to Auschwitz and back as it’s already included in the price. Additionally, Comfort Tour Option ensures extra 15 minutes of free time after the tour and a pickup from one of the central meeting points close to your hotel. Our package wouldn’t be complete without a choice of our carefully selected and personally verified hotels where you can unwind and regain your strength after the tour. Press BUILD THIS PACKAGE to choose the hotel and dates that suit you best, click Add to Basket, and enjoy! ABOUT TRANSFER: This will be tranfer from Krakow Balice Airport John Paul II to any given address within Krakow city borders. The transfer to the centre of Krakow will take approximately 30 minutes. ABOUT AIRPORT: Balice Airport (KRK) is the main Krakow airport located about 10 miles away from the city. Most flights to Krakow arrive at this Airport. The building is not adjusted to the needs of disabled. Changes made 96 hours or more before your arrival date are subject to NO penalty. Cancellations made 96 hours or more before your arrival date are subject to NO penalty. Cancellations or changes made 96 hours or less before your arrival date are subject to a 1 Night Room penalty. Children up to 7 years old when using existing bed in parents room stay free of charge. Private parking is possible at a location nearby (reservation is needed) and costs PLN 30 per day. Used Escape2Poland for hotel, transfer and trip. Can't fault them, punctual, polite and professional. Drivers very knowledgeable. Trip ran like clockwork, no problems at all, would definitely recommend. Escape2poland provided exactly what they promised. Would recommend. The hotel was in a great location. We were also close enough to the main square to walk to. Transport for the tour went smoothly, guide had great knowledge of Auschwitz history., couldn't be better. We were satisfied, the driver was a few minutes late but we contacted emergency number and they provided information. Everything else went smooth. Headphones were a great idea, silvia our guide was fantastic and didnt mind answering any questions we had, dvd on the transfer bus was interesting. The Metropolitan Hotel was in an amazing location we could walk to almost everything. The staff was the best I have ever seen very helpful and nice. Over all I loved the hotel and staff and would stay there again. Very punctual, having the transfers included made our first city break very easy and enjoyable. The tour run smoothly and the pick up was on time. The hotel was very clean and the location was excellent. We left very early in the morning to go back to the airport and they provided us with a packed breakfast.There was some noise from the road outside, but this was not really a problem. If you want to see Auschwitz & Birkenau, this is the company to use! Drivers - always on time, friendly & helpful. Apart from the tours the company also offers competitive airport transfers and comfortable, modern hotels. They totally take the stress out of visiting a foreign country, it was thoroughly enjoyable and I thank them for it! I highly recommend Escape2Poland! We booked the Auschwitz trip, airport transfer and hotel through escape to Poland. Will book through them again! The Hotel we stayed in is fantastic value for money! All the staff were friendly and so helpful. Loved Krakow and will definitely go back and stay at the same hotel. We thoroughly enjoyed every minute of our trip! The hotel was amazing. The staff were friendly and helpful and the rooms were clean and comfortable. The trips to Auschwitz/Birkenau was well organised and the tour guide was very knowledgeable. Although obviously a sad visit I think everyone should witness the camps and it should never be forgotten. Thank you very much to Escape2poland for a memorable trip. Are flights included in the cost of the package? No, Escape2Poland does not include airfare. Flights must be purchased separately. If you need our advice on the best flight options, please contact us. Is two-way airport transfer included in the package? Yes, the driver will be waiting for you in the arrival hall carrying a placard with your name on it. At the end of your stay, our driver will be waiting for you at your accommodation door at the pre-arranged time ready to transport you to the airport. Are the airport transfers only private or shared? The airport transfers included in the package are shared. If there isn’t anyone else travelling on the same flight, you will be the only one we pick up. Please call or text us on the emergency number (+48 535 64 54 54) as soon as possible. When will I receive my vouchers with the information about the tour(s)? Tour vouchers with all details will be emailed to you 3 days before your tour date. Can I book more tours closer to my arrival? Yes, you may book more tours by making a separate booking any time before your arrival. Ideally you should book at least 7 days before your arrival so there is enough time to make the arrangements without hassle. Can I get an upgrade of my hotel room? Yes, room upgrades are available at most of our hotels for an additional fee. Do I need airport transfer vouchers? No, the driver may ask you for your reference number and this will do. What time does the Auschwitz Tour start and end? We organize the Auschwitz Tour daily in the mornings and afternoons depending on availability. The tour start time may vary. Its length remains the same and it is around 7h including transfer time.